sewers is an emerging trend intended to bridge the gap between central sewers and residential septic systems. Upgrading and improving a city’s wastewater treatment infrastructure is one of the most important public policy issues, and the most costly. Whenever a community has a centralized wastewater system and developments are proposed, questions are likely to arise over how the costs and benefits of the system are to be distributed — which can be avoided when all the costs and benefits go to single homes or clustered developments. The effort culminated in Dawn’s nomination for the All-America City award, which is sponsored by the National Civic League and given to nominees that have addressed serious challenges with innovative, grassroots strategies that promote civic engagement and cooperation between the public, private and nonprofit sectors to effect outstanding civic accomplishments. The board of supervisors of Caroline County recognized Dawn’s need to address specific challenges to the environment and to solve a critical standard-of-living challenge — an outdated and ineffective wastewater system. Community leaders took an active role in working with county government, which committed $1.8 million of local funds to the project. In late 2003, Caroline County chose Arcadis Engineering because of the company’s success implementing other similar systems in Virginia, including the Bayview Development Project. Officials also approved the concept of using new technology, namely Bio-Microbics MicroFAST to create a decentralized wastewater system that would be less expensive and simpler to design and construct. Arcadis Engineering selected the proven and reliable MicroFAST treatment system because past experience had taught them that the MicroFAST fixed integrated treatment technology design would allow for higher levels of nitrogen reduction and the high-quality effluent required for discharge. In 2006 the first homes were fully connected to the system. Decentralized/distributed systems are typically composed of modular, interconnected and easily replaceable parts. Installation and maintenance are simple. Because of the MicroFAST system’s flexible design, the units can be turned on or off as water flow increases or decreases. The wastewater treatment plant can operate independently while protecting and enhancing the environment. The entire system is monitored by wireless technology through Internet access, allowing the user to know the system’s functions at any time and eliminating unnecessary labor. Also important to consider is the fact that property near large, centralized systems decreases in value. However, distributed/ decentralized systems are also often much more economical for smaller communities. Frequently seen as a suitable choice in low-density/ rural situations or for temporary solutions, the decentralized wastewater treatment system is not the usual choice as an option for a community — until now. With proper design, installation and operation, the advantages of decentralized systems are many. 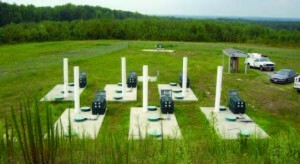 By collecting, treating and reusing or disposing of wastewater from the homes, buildings, and/or cluster systems onsite or near the point of generation, decentralized/distributed systems can reduce the time, amount of water and energy involved in treating wastewater with a higher pollutant removal rate. Moreover, these advanced treatment systems offer a water-reuse opportunity for community parks, schools, golf courses and reduce dependence on potable water consumption for non-potable uses. The community has more options in terms of the topography and/or type of land available, which not only increases property value, but can lead to a decrease in urban sprawl. City planners can achieve density goals at affordable economics, resulting in higher net profits. It is not always a clear choice, but there is substantial evidence that decentralized systems are very frequently the answer. Information provided by Bio-Microbics Inc.
It’s really interesting to see that more and more communities are becoming self-reliant on septic systems to treat their own wastewater. As increased repair costs for centralized water throughout cities go up, I’ll be interested to see if this trend continues. Kudos to the city for a great self-sufficient plan!